The Candy Buffet is a recent trend on the wedding scene that is becoming increasingly popular, offering a lovely way to do something a bit different on your special day. Essentially a table where guests can help themselves to wedding favours, sweet treats and cakes, candy buffets provide a really colourful point of interest on your wedding day. 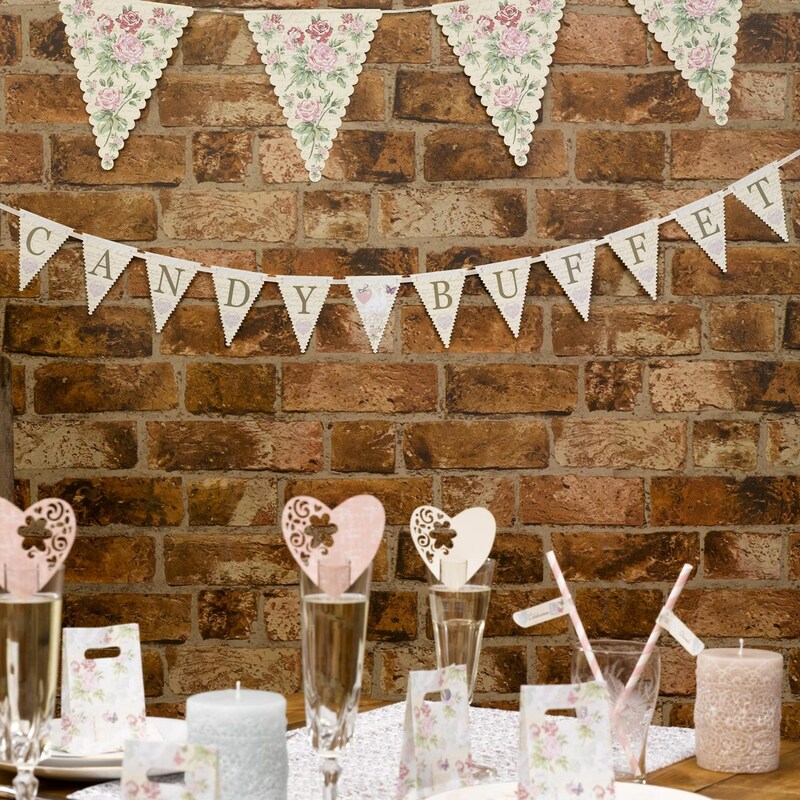 This pretty bunting helps you to dress your table in style and features a delicate, traditional colour palette that adds a romantic touch to your sweet display. Comprising of 12 double-sided, triangular flags, the bunting features individual lettering alongside a heart design and central white dove and flower illustration. Suitable for both indoor and outdoor use, the bunting compliments other pieces in the "With Love" collection.